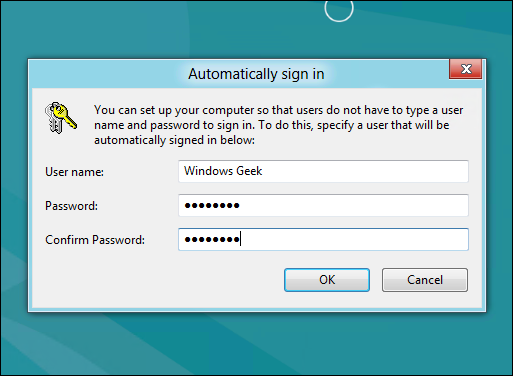 Go to Control Panel → Programs → Turn Windows features on or off, check Hyper-V option, make sure all components are selected, and click OK. You may reboot your computer once the Hyper-V feature was added. 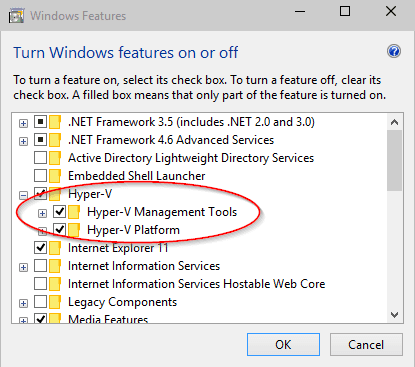 Click Start button, and then All apps, you will see Hyper-V Manage Tools appears under H section. Expand it to find Hyper-V Manager. 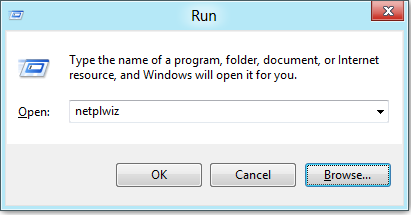 I was having a little difficulties finding Hyper-V Manager when I first tried. It’s not in All apps, nor in Search results. What I ended up doing is to add it as a Snap-in component to a blank MMC console. Click Start button, type in “MMC”, and press Enter. It will open a blank MMC Console. 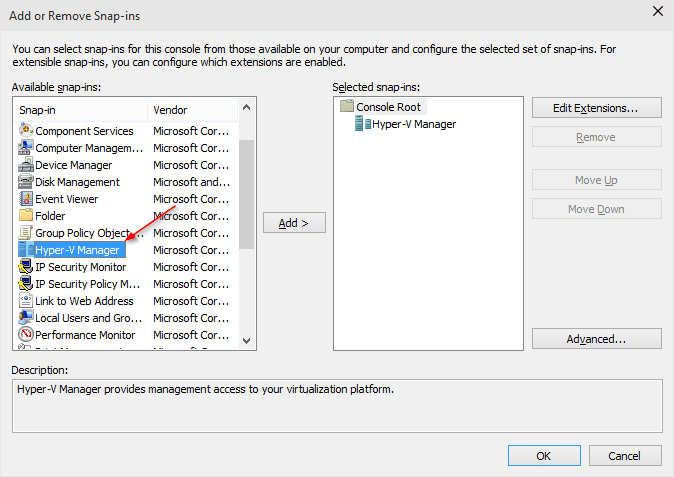 Then go to File → Add/Remove Snap-in, add Hyper-V Manage component from left, and click OK. Pick local computer as the remote server. Either way, you will have Hyper-V Manager opened up on your computer without any issue. 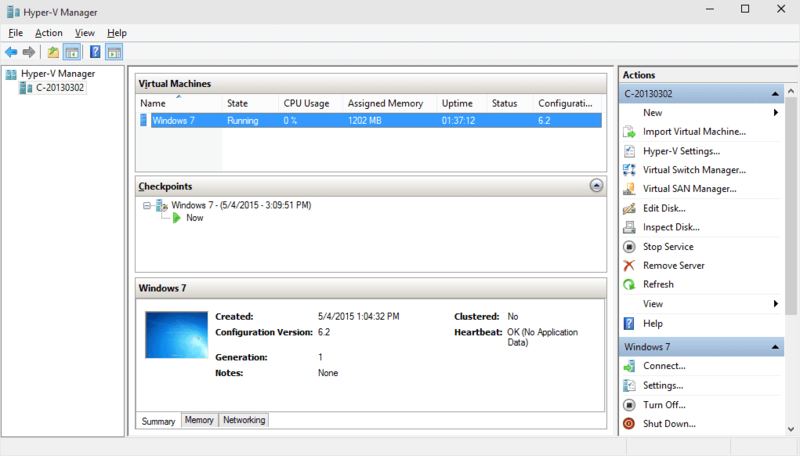 The first thing you need to do after you enabled Hyper-V feature is to create a network switch. You will need one to create and run virtual machines. 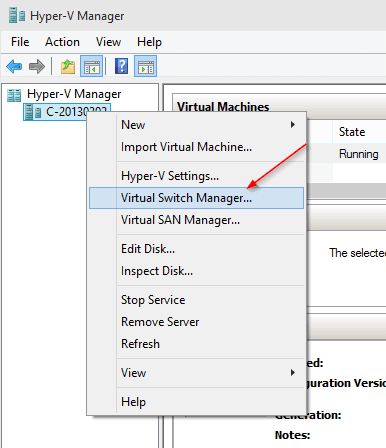 Open Hyper-V Manager, right-click the host, and choose Virtual Switch Manager. You can also find it on Actions panel as well. Select one of 3 types of virtual switch, and click Create Virtual Switch button. 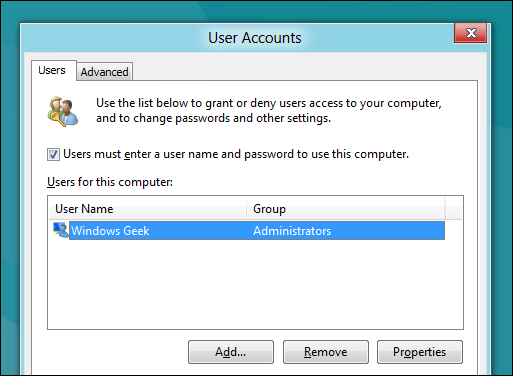 External – if a virtual machine needs to get access to a physical network directly. Internal – if no need to get access to the physical network. 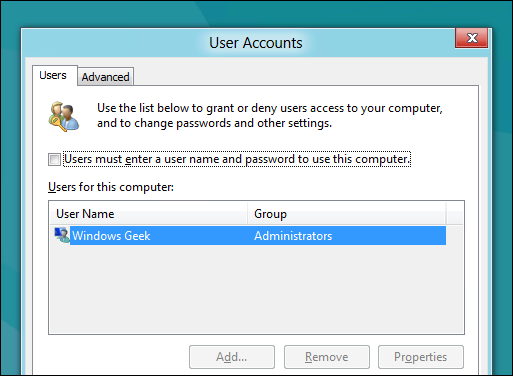 Private – if a virtual machine only runs on this host. You may as well configure Hyper-V settings on this particular host to specify the default folder to store virtual disks and virtual machine configuration files. 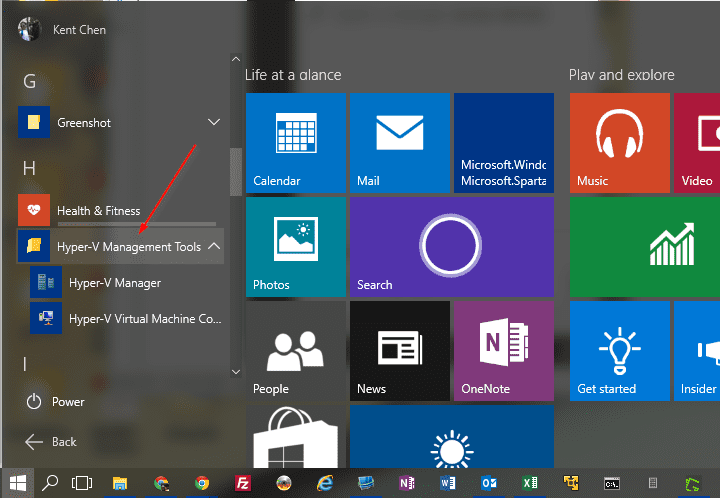 Once that’s all done, you can now import an existing VM or create a brand new one to start enjoying running a second OS in Hyper-V on your Windows 10 computer.